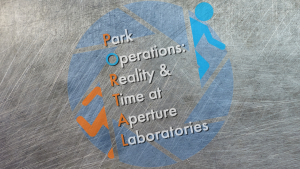 A theme park based on Valve’s hit science adventure puzzle shooter series, featuring tons of Aperture Laboratories scientific masterpieces. This episode stars Johnathan O. Rose-Lyon of the Make Stuff YouTube channel! Find his Patreon here!